A look back at all the Steelers news during the final week of the preseason. The Steelers reduced their roster in advance of the NFL's 4 p.m. deadline today. The Steelers have made roster moves in advance of today’s 4 p.m. deadline to trim the roster to 53 players. Ross Cockrell was traded for a conditional pick in the 2018 NFL Draft. The Steelers traded cornerback Ross Cockrell to the New York Giants in exchange for a conditional pick in the 2018 NFL Draft. The Steelers traded Sammie Coates to the Browns. The Steelers traded wide receiver Sammie Coates to the Cleveland Browns on Saturday. The NFL released a statement regarding Martavis Bryant on Friday afternoon. Chances to acquire 'starter-capable guys' rare at this point of a preseason. The Steelers don’t often aggressively pursue veteran free agents just prior to the roster cut to 53, as they did with former Cleveland cornerback Joe Haden. Several players took advantage of a chance to state a case for themselves in the preseason finale. Someday, soon if Commissioner Roger Goodell has his way, this fourth preseason game won’t exist, but right now it still does, and Coach Mike Tomlin believes it has a purpose. The Steelers came from behind to defeat the Carolina Panthers, 17-14. The Steelers closed out the preseason with a 17-14 win over the Carolina Panthers at Bank of America Stadium. Josh Dobbs ended the preseason by leading the offense on a game-winning TD drive. He opened the preseason by starting the first two games, and he closed it by leading the Steelers to a game-winning touchdown in the final seconds of the fourth game. The highs and lows of the Steelers preseason finale at the Carolina Panthers. 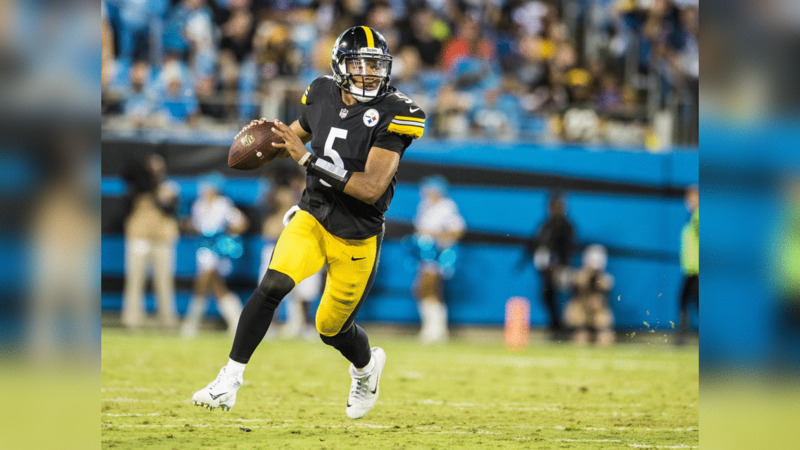 The highs and lows of the Steelers preseason Week 4 game at the Carolina Panthers. The Steelers announced a two-year contract extension for Kevin Colbert. Kevin Colbert embodies what Pittsburgh stands for - hard-working, no-nonsense, blue-collar attitude, dedicated, and loyal. 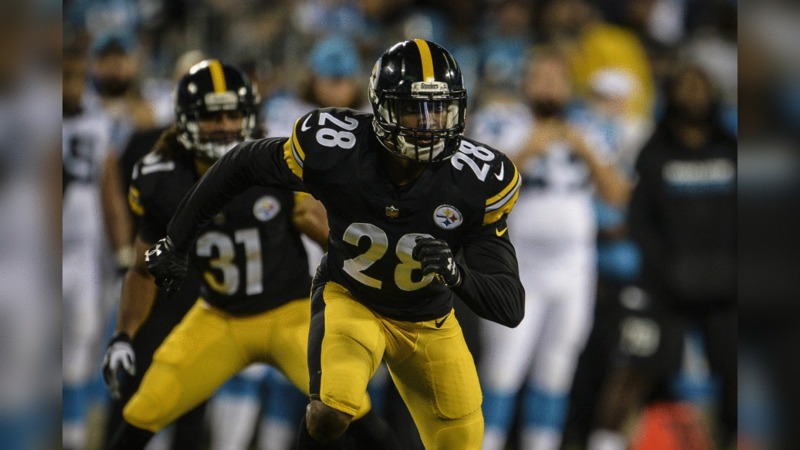 Less than two weeks before the start of the regular season, the Steelers added a starting CB. When Mike Tomlin woke up on Wednesday morning, he had no idea he was about to hit the lottery. 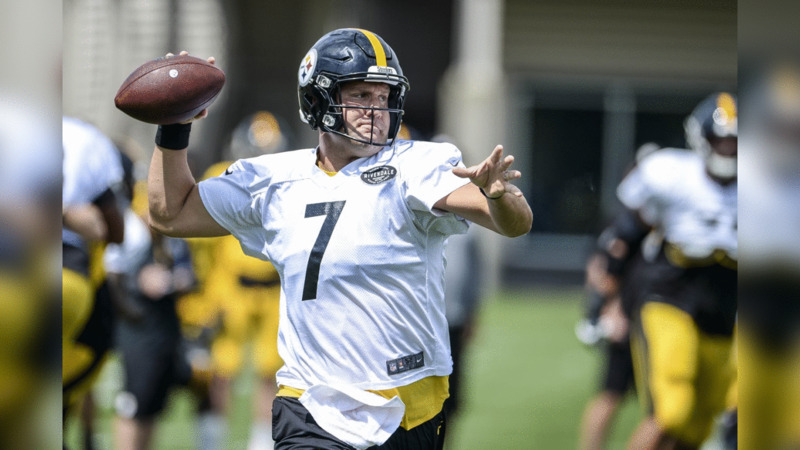 Do you think the offensive line will be better than last year in protecting Ben Roethlisberger? How high up on their priority list is that to the Steelers compared to prioritizing other positions that have been weak spots on the team? Mike Tomlin addressed a variety of issues leading up to the preseason finale in Carolina. Q. When we were talking about cuts last week, you said that at this stage, some guys are ready to go for one reason or another. Can you explain what you meant by that? Joe Haden will give the Steelers depth at the cornerback position. The Steelers signed cornerback Joe Haden to a three-year contract on Wednesday. Coach Mike Tomlin talked about Martavis Bryant's progress and much more. Coach Mike Tomlin didn’t officially rule anyone out of playing on Thursday night against the Carolina Panthers, but chances are pretty good you will see some high profile starters on the sidelines as spectators. Mitchell has a plan in advance of regular-season opener. Mike Mitchell looked like a football player at practice today, more than he has since suffering a hamstring injury on the first day in pads at Saint Vincent College. The Steelers placed LB Keion Adams on Reserve/Injured List and release two others. The Steelers have placed linebacker Keion Adams on the team’s Reserve/Injured List, it was announced today. The Steelers acquired tight end Vance McDonald from the San Francisco 49ers. The Steelers continue to make changes to their roster, today trading for tight end Vance McDonald from the San Francisco 49ers. 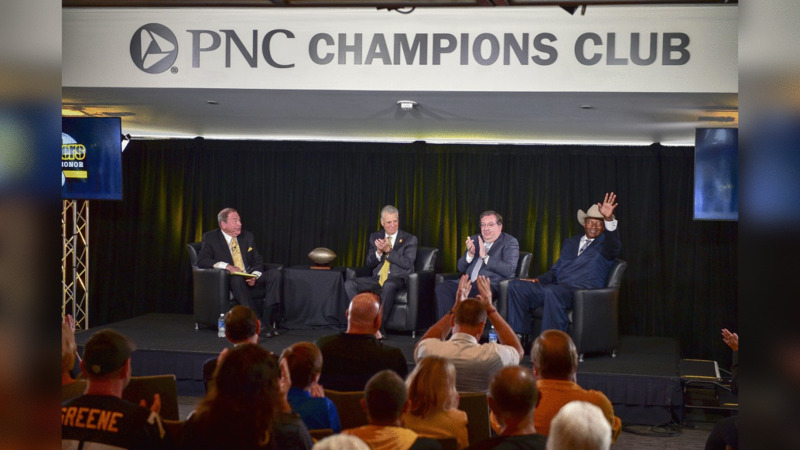 One person's view into the the mind-set behind the Hall of Honor's Inaugural Class. It was tremendously humbling to have been asked to serve on the Selection Committee for the Steelers’ Hall of Honor, and one of the things I came to understand as the meetings progressed through the summer was that the primary purpose was recognition, not necessarily competition. The Steelers announced the 27 individuals who will comprise the Hall of Honor class. When you think Steelers football, these are names that quickly come to mind. 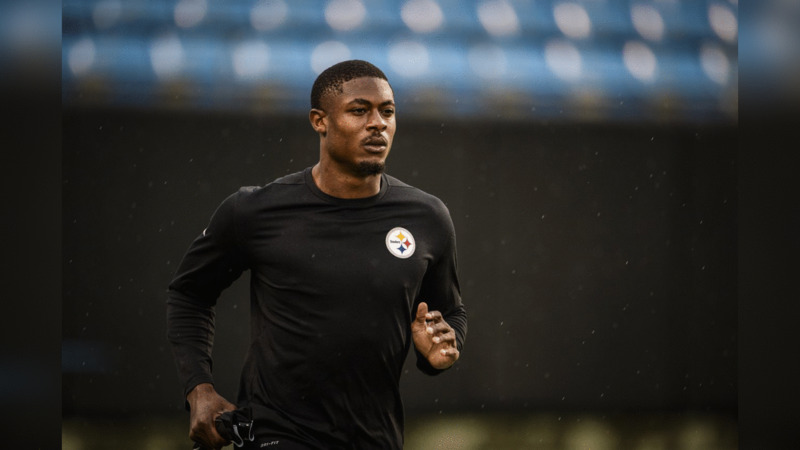 Will Ross Cockrell be the starting cornerback opposite Artie Burns on opening day? Missi and Bob assess the final week of the preseason to get you ready for the regular season opener vs. the Browns. T.J. Watt and Hines Ward had trivia questions and awesome prizes prepared for fans at training camp. Joshua Dobbs runs toward the right end for the game winning touchdown. Go around the Steelers' locker room following their 17-14 win over the Panthers. The Steelers close the preseason with a 17-14 win over the Panthers. Joshua Dobbs takes it himself for the game winning touchdown. Coach Mike Tomlin touches on Vance McDonald, Joe Haden, and William Gay. Joshua Dobbs connected with Justin Hunter for a 58-yard touchdown play that gave the Steelers a 10-7 lead. General Manager Kevin Colbert recaps a busy week of transactions for the team. 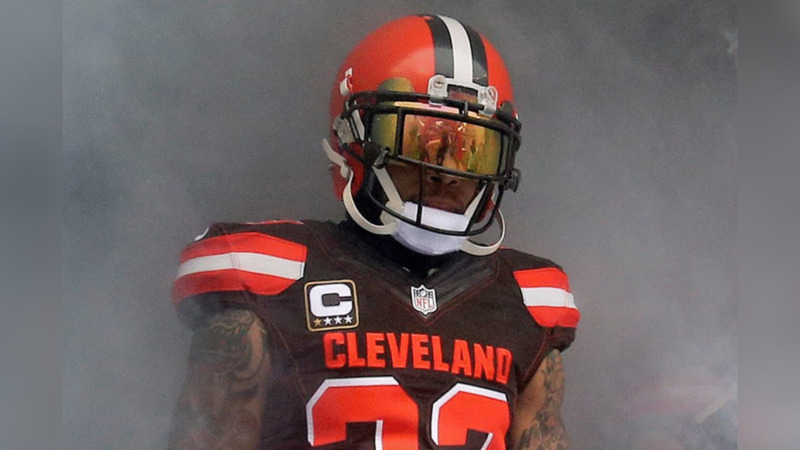 Check out some highlights from the Steelers' newly signed CB, Joe Haden. NFLN: What does Haden bring to the Steelers' secondary? NFL Network's Heath Evans and Ike Taylor discuss where CB Joe Haden fits in with the Pittsburgh Steelers. Head around the Steelers' locker room as the team prepares for their final preseason game. Missi and Tunch detail what Vance McDonald means for the Steelers. Missi and Tunch break down the Hall of Honor's inaugural class. Coach Mike Tomlin on heading into the final preseason game of the year against the Panthers. Each Hall of Honor inductee will receive a replica of a steel football presented by the United States Steel Corporation and United Steel Workers to Art Rooney Sr. in 1982. Watch the full Hall of Honor presentation as the Steelers announce the inaugural class of 2017. Take a look at the best photos from the Week 4 preseason matchup against the Panthers. The Steelers defeated the Panthers 17-14. The Steelers have signed free agent CB Joe Haden. The Steelers prepare for the preseason Week 4 matchup against the Carolina Panthers. The Steelers announced 27 individuals who will comprise the Hall of Honor class.